Aside from being a great music player, iTunes is an integral part of an iPhone, iPad and iPod user’s digital life. This is all well and good if you’re on iOS of course, allowing the most harmonious of synchronization; and as of iOS 5 – wirelessly so – providing your iDevice is Wi-Fi compatible. In true Cupertino fashion, though, unless you’re in the iClub in terms of portable gizmos, your device will not be enjoying any iTunes loving in the near future. Well actually, it might. 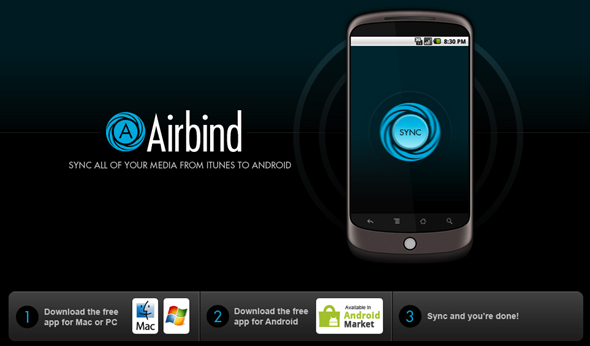 A new app called Airbind allows you to sync your Android with iTunes, and although many Droidsters will – like their iOS counterparts – have a partisan affinity to their tooth-rotting Google gadget, the ease in which digital content can be obtained from iTunes might just see you ditch the likes of Winamp for good. With Apple currently in the process of calling Google out (albeit via Samsung), the timing of this app’s release may seem a little ironic. Still, since there’s a snowball in hell’s chance of such compatibility ever coming as standard (unless one company were to buy-out the other, of course), Airbind serves as the perfect excuse to infiltrate enemy lines. The app is completely free, and works with both Windows and Mac. 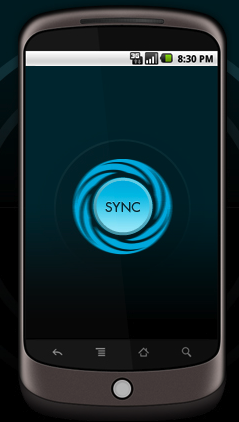 You’ll need to get hold of the partnering desktop utility – both of which are linked to at the bottom of this post – as well as the Android client, which is also just a short scroll down the page.